How do we report proverbs? How do we report universal truths? In what cases do the tenses remain unchanged when we transform a sentence from direct to indirect? 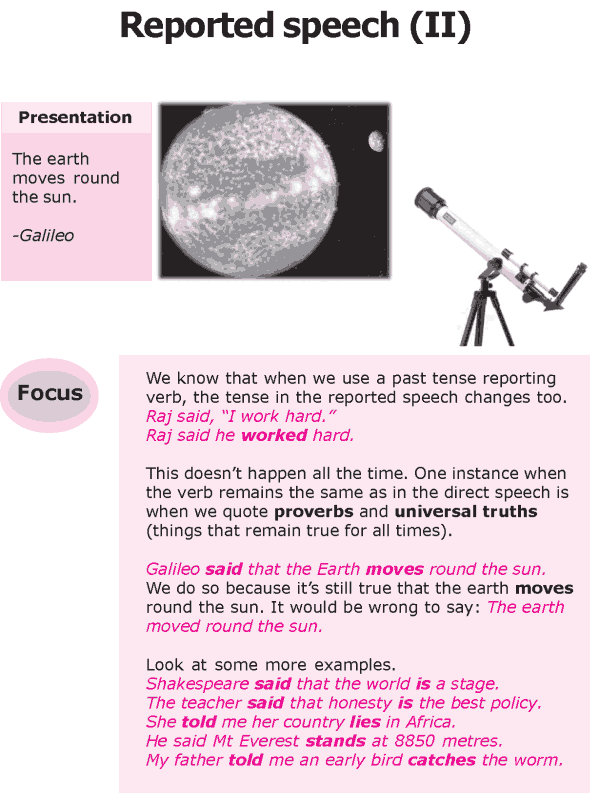 We know that when we use a past tense reporting verb, the tense in the reported speech changes too. This doesn’t happen all the time. One instance when the verb remains the same as in the direct speech is when we quote proverbs and universal truths (things that remain true for all times).